Design a new brand identity for a wedding photographer. Elizabeth Kate is a wedding photographer based in Gloucestershire who needed a beautiful brand identity to launch her new business. The new brand identity needed to be romantic, pretty and approachable. 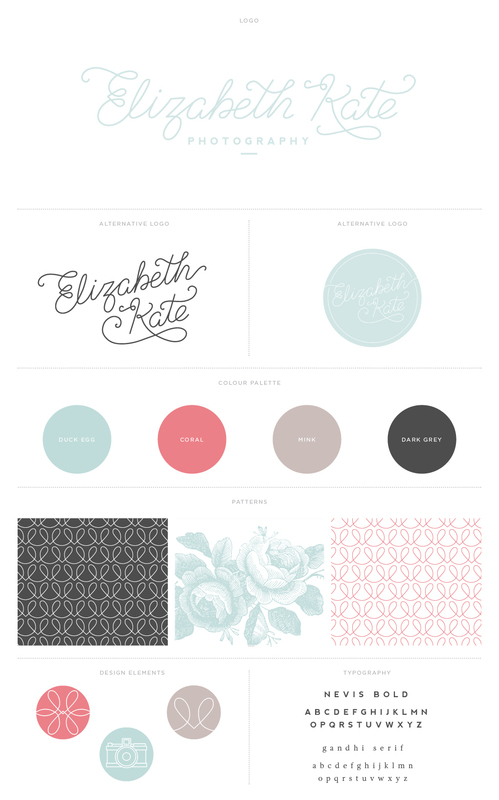 I created a wordmark from scratch with a hidden heart detail (check out the E of Elizabeth) and provided Elizabeth with a full brand identity kit, including logo variations, colour palette, typefaces and bespoke patterns and icons.